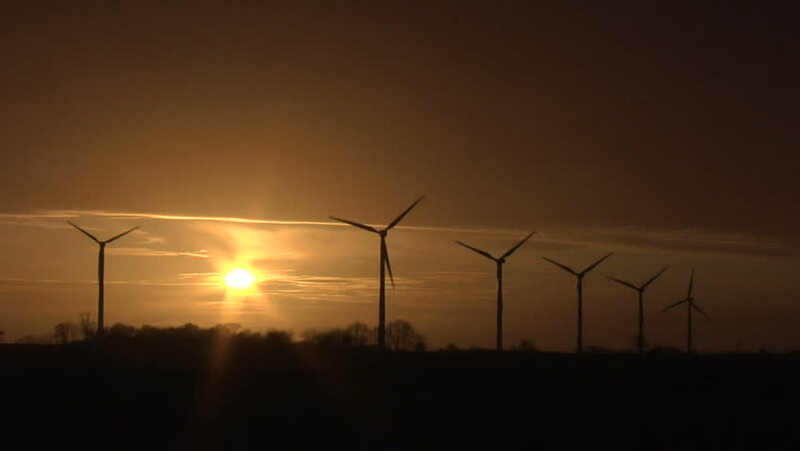 sd00:23Slow pan over the Marsfeld, on of the largest wind energy generator arrays in Germany, shot close to sunset. 4k00:134K Beautiful windmill turbines harnessing clean, green, wind energy silhouetted in the sunset sky with sun rays. Green energy.